sources distributed to every tv from one area of your home! Why have TV Distribution ? 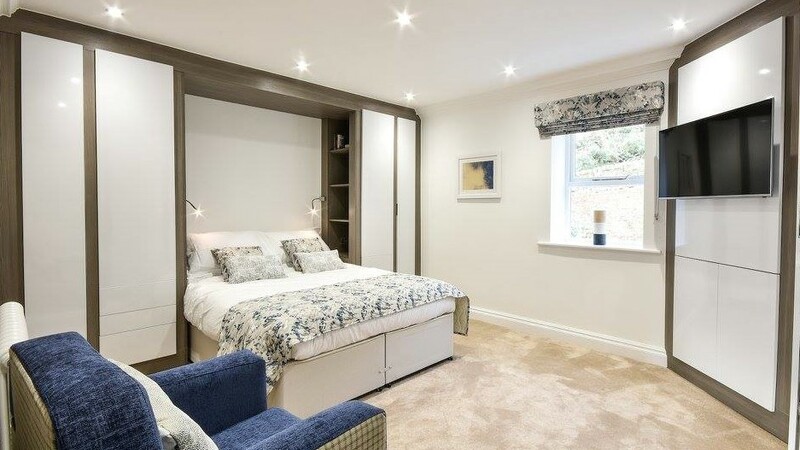 Most home owners hate having coils of messy cables visible in their living rooms and bedrooms for provide the power and the input signals to their TV’s – even more so now that we can all afford and enjoy the benefits of large, wall mounted ultra-flat TVs in more of the family rooms of our homes. 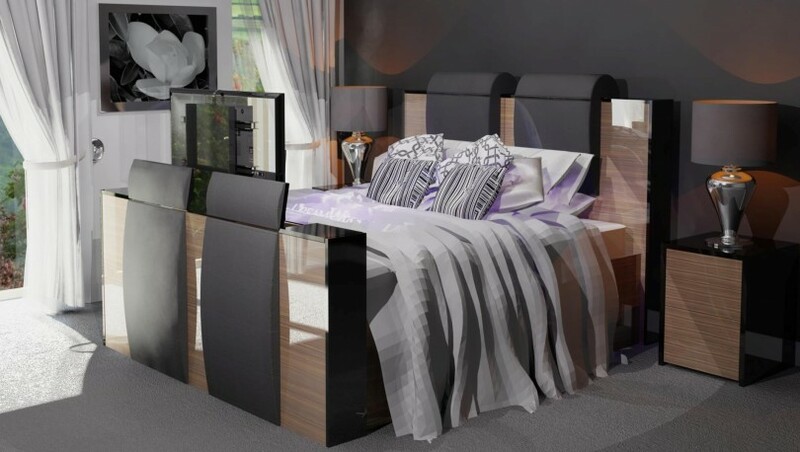 Modern decor and room designs suggest that all these cables and black boxes can and should be hidden out of sight. With a TV Distribution system, messy cables can be a thing of the past! But how is it possible to hide away all the Sky/Virgin boxes, Blue-ray players, CCTV recorders, Apple TV or Amazon Fire plug-in boxes that are needed for modern entertainment systems, and minimise the visibility of all the cabling that are needed for sharing and accessing these boxes in and around the various TV installations ? The modern answer is to install this array of boxes in a central location – maybe in an under-used cupboard in the house – and distribute their signals to all the rooms where you currently have TVs installed or where you plan to install more TVs in the future. A properly designed and installed UHD 4K TV distribution system will allow you to watch and control all your HD and Ultra High Definition entertainment devices in each room whilst eliminating the need for all these devices to be plugged directly into each individual TV. A bonus is that any subscription TV services can be viewed on any and all TVs connected to the distributed system, or can be recorded and watched later. 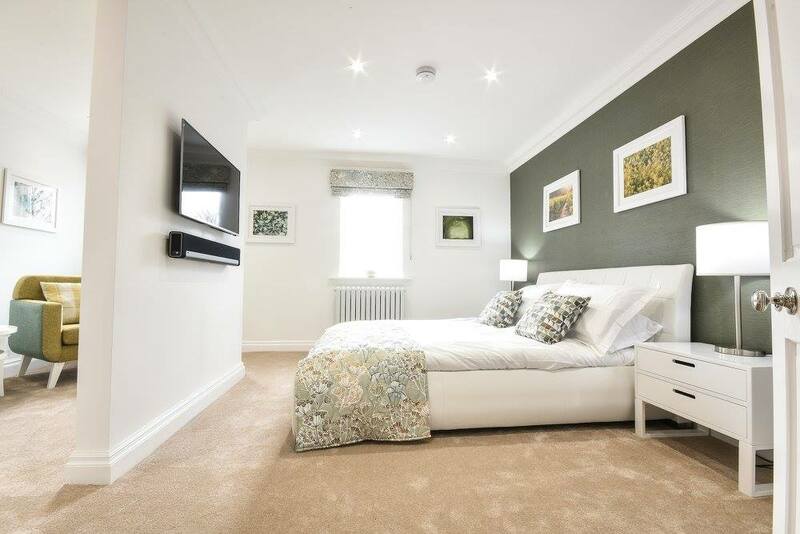 Control of all this media in each room will be entirely possible by buying and using extra remote controls for each device in each room. However, RB Vision specialises in providing bespoke programmed Apps that each member of the family can have installed on their Smart phones, tablets and laptops. This App is designed to mimic the individual device remote controls, providing an all-in-one control solution that is very easy and convenient to use. And, best of all, there is no longer any reason to argue over who “in charge” of the remote ! What is TV Distribution ? HD and UHD TV distribution systems work via HDBaseT data Cables being installed around your home. 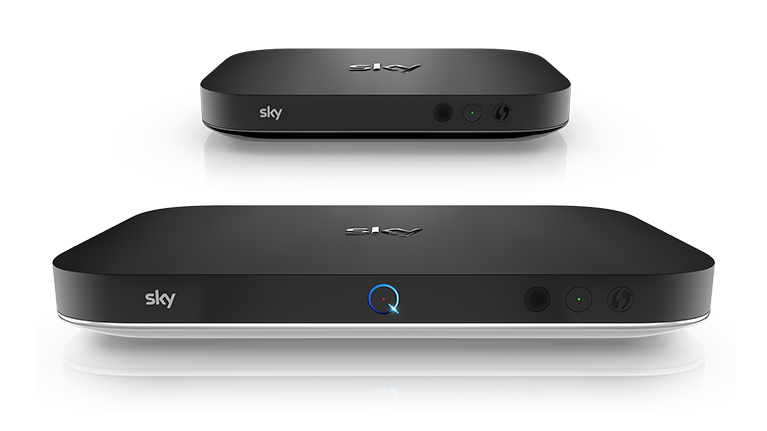 This allows Sky Q/Virgin, Blue-ray, Apple TV, CCTV and other sources to be connected to the distribution system in one area, allowing you to view each source individually on TV’s around your home. This means that your Sky boxes, Blu-ray devices and other boxes do not need to be visible in each room where a TV is fitted. At the heart of any TV Distribution system is a Matrix Switch. 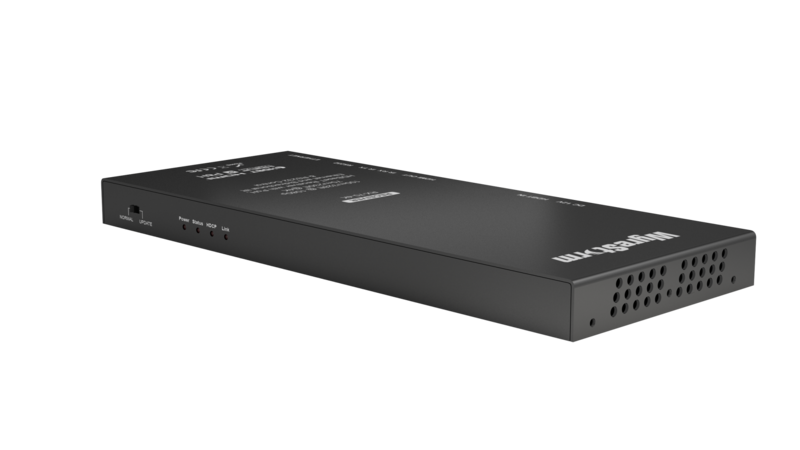 This is a black box that takes multiple HDMI input cables from your Sky or Virgin Boxes and any other sources.They can now all be housed together out of sight in the chosen central area of your home. The Matrix Switch converts the input HDMI signals, and distributes these digital signals without loss of quality via the HDBaseT data cables to all of your TVs installed around your home. On arriving at the TV, the signals are then converted back to HDMI for HD and UHD 4K viewing. A few technical details for the enthusiast. 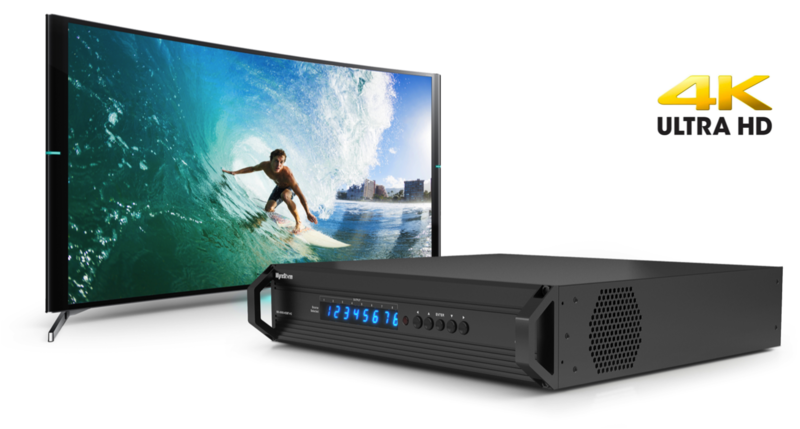 RB Vision can supply, install and commission a whole range of integrated HD and UHD, HDR source distribution systems that deliver uncompressed true HD and UHD 4K HDR images around your home to your HD and UHD 4K Displays. The headline fact is simple and dramatic: 4K Ultra HD TVs and Projectors (also known as UHD TVs) deliver four times as much detail as 1080p Full HD. That is 8 million pixels compared to 2 million pixels. What that means in terms of potential image clarity is more fine detail, greater texture and an almost photographic emulsion of smoothness. 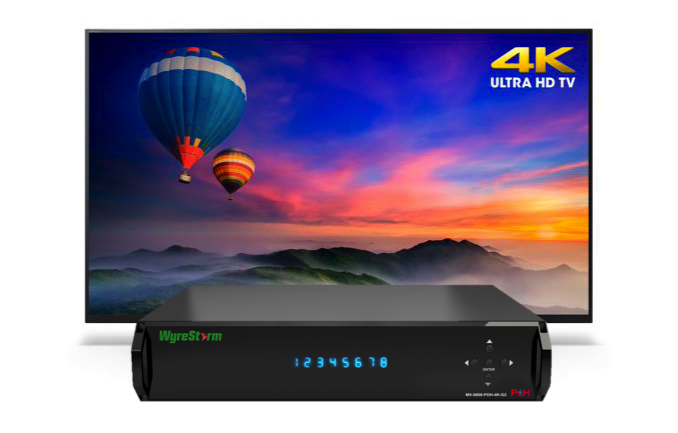 RB Vision can install, setup and fine-tune your kit to distribute amazing 4K picture quality around your home with our UHD TV distribution systems. Apple TV, Sky Q and Virgin now has lots of 4K content to stream or download, also Sky Q hosts Dolby Atmos, HDR and voice control. Therefore, the obvious choice for the enthusiast is to opt for a 4K HDR, Ultra High Definition TV distribution system. 4K displays reveals so much more detail, and the difference is astonishing. The higher resolution images that can be shared on a full wall size screen are simply amazing. 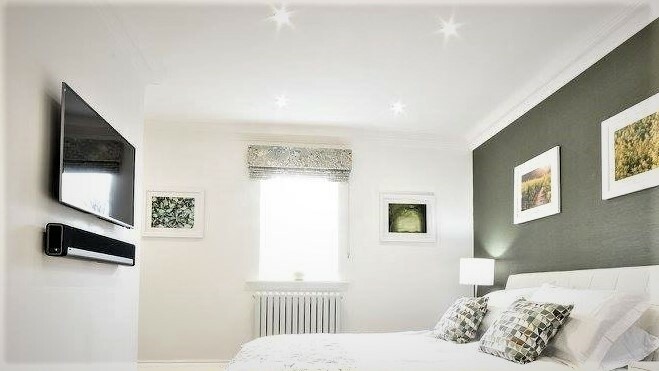 So what is HDR, High Dynamic Range Displays have the ability to display a wider and richer range of colours, they display much brighter whites, and much deeper, darker blacks. This gives the displays picture a more dynamic look, which is where the name comes from. HDR content preserves details in the darkest and brightest areas of a picture that are lost using current standards. It also allows for more natural, true-to-life colours that are closer to how we see them in real life. 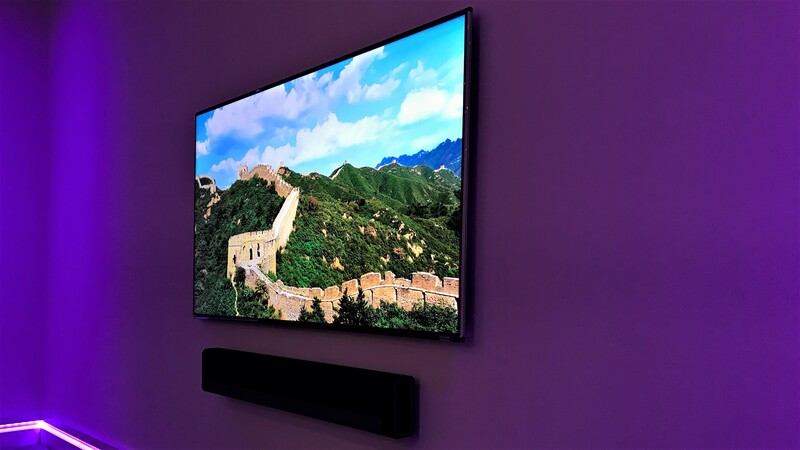 High Dynamic Range (HDR) displays have the ability to display a wider and richer range of colours, much brighter whites, and much deeper, darker blacks than regular HD content. This gives the picture a more dynamic look, which is where the name comes from. HDR content preserves details in the darkest and brightest areas of a picture that are lost using current standards. It also allows for more natural, true-to-life colours that are closer to how we see them in real life. 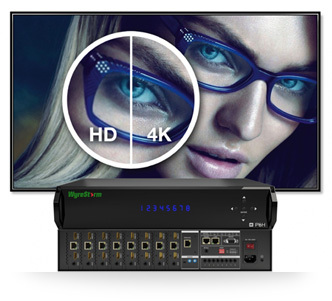 Our Ultra High Definition HDBaseT distribution Matrix solutions offer Ultra High Definition (UHD, 4K), High Dynamic Range (HDR) and 3D video Distribution system offering uncompressed video. (no degrade in video quality or added latency). 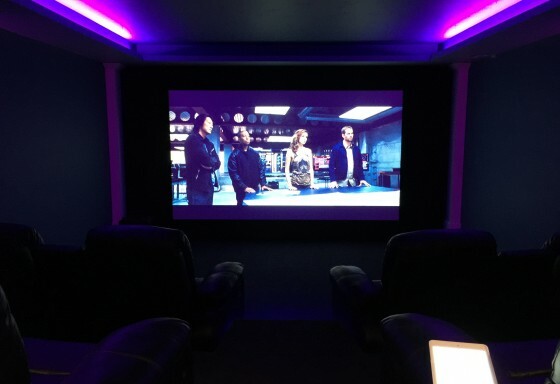 All our Matrix supports standard audio formats as well as full Dolby Atmos sound. 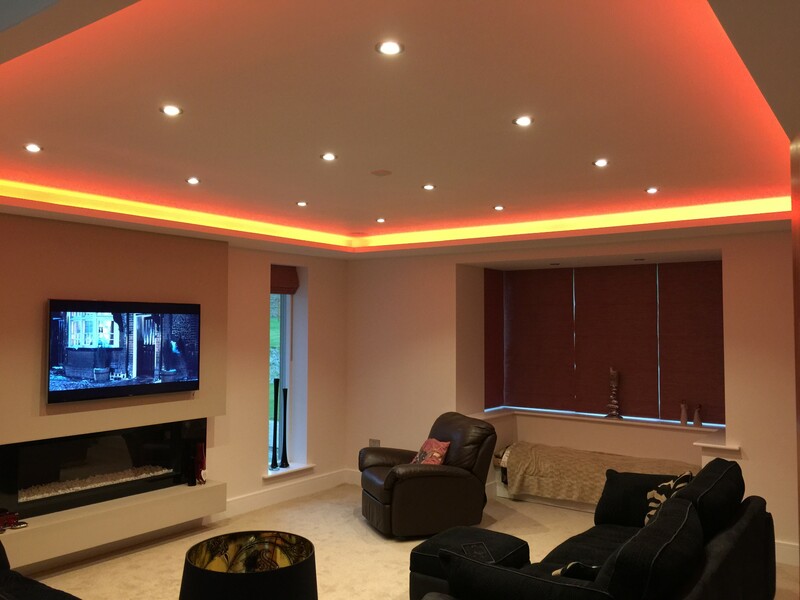 If you are thinking of investing in any type or Distributed TV system, it needs to be installed and setup correctly, look right and sound right. 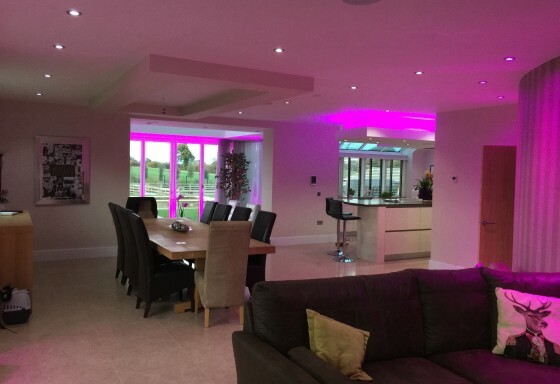 RB Vision constantly strives to design and create the very best customised installations. We will treat your install with pride, to distribute the perfect picture quality and sound that creates the perfect experience in your home. 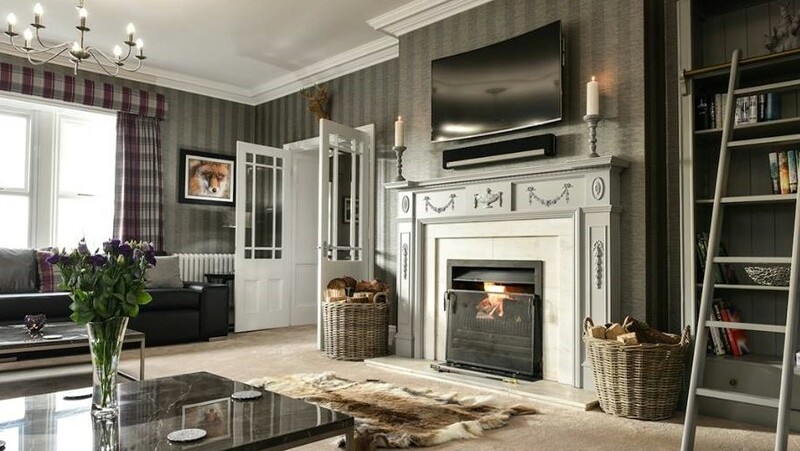 Whether you are looking for a solution to fit into an existing space, or prefer a completely new customised design, one thing is for sure, a project from RB Vision will create the perfect Distributed TV system to assure an eye opening, spellbinding experience. 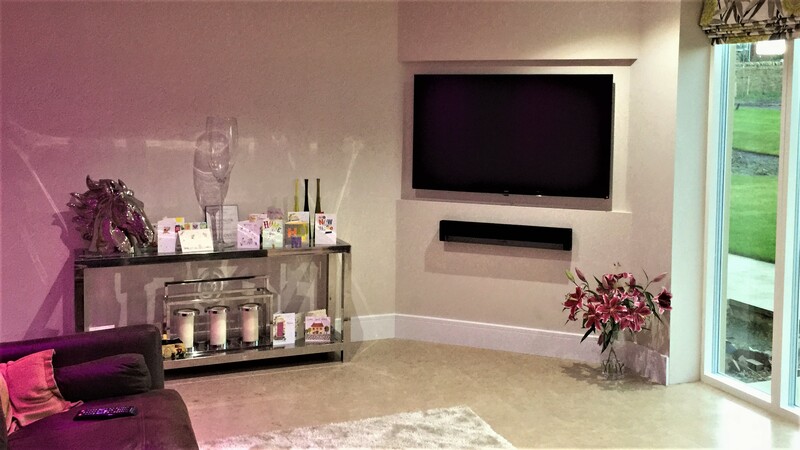 For over 15 years RB Vision have been designing and installing the most unique state of the art TV Distribution systems for our clients. We have helped them turn their homes into a lifestyle by creating the perfect entertainment areas, and we have many glowing testimonials to support this claim. It is possible to distribute HD and UHD signals over Cat5? 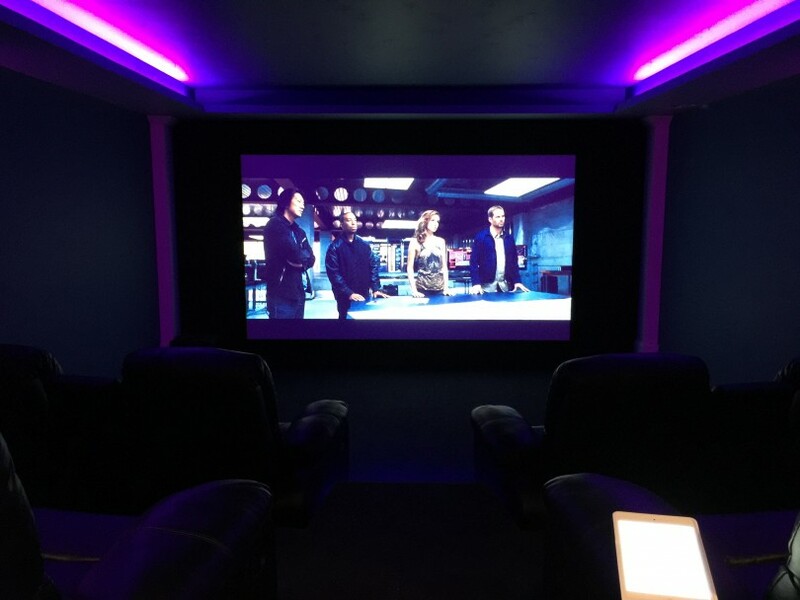 Can I have my projector in my Cinema room on the matrix? 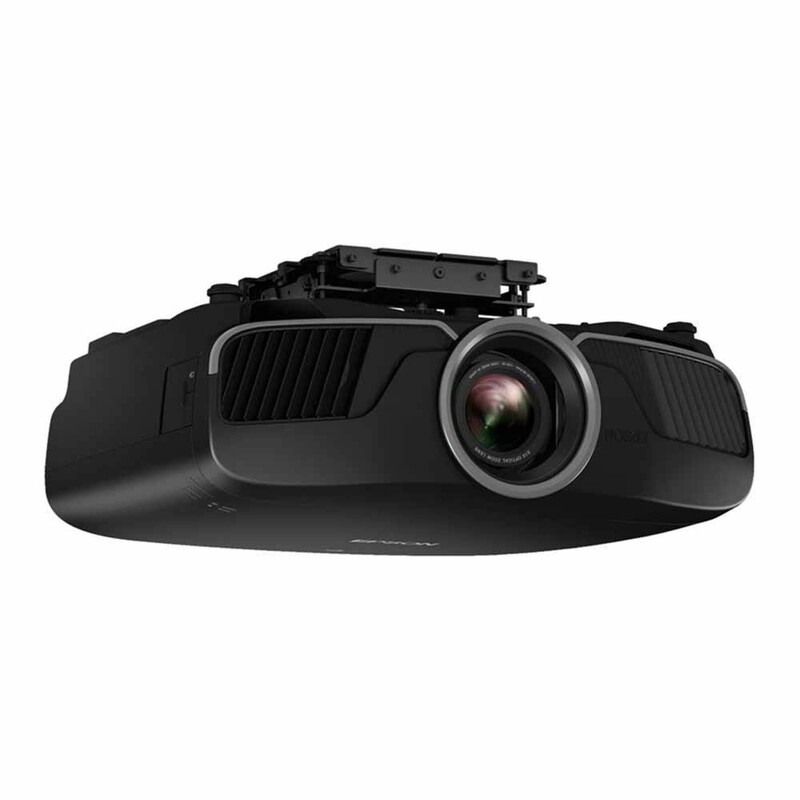 Yes, Projectors can be set up to run on the Matrix distribution system! Which equipment will you use? 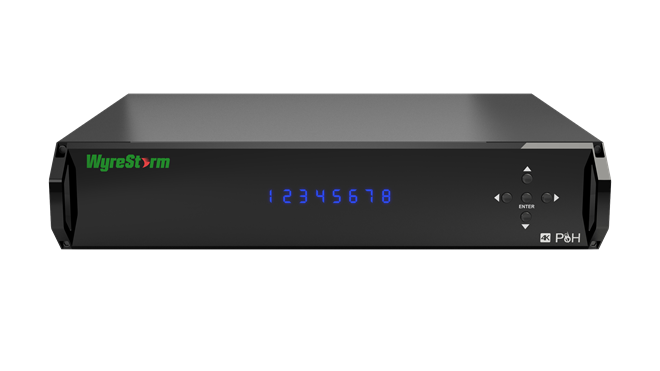 How long does it take to install a UHD Distribution system? UHD Distribution systems come in diferent sizes, we install 8 x 8, 6 x 6 and 4 x 4 Matrix units in the average install, the larger the matrix switch and the more TVs to install the longer the project will normaly take, 5 working days is the average time an 8 x 8 matrix install will take, this includes, setting up and commissioning.